Josh Billingsley began performing in his hometown of Myrtle Beach, South Carolina at age 16 at Medieval Times Dinner & Tournament. After winning lead trumpet in the SC All-State jazz band, he went on to earn a Bachelor of Music degree from Winthrop University, where he was the Bruce Thompson concerto competition winner his senior year. 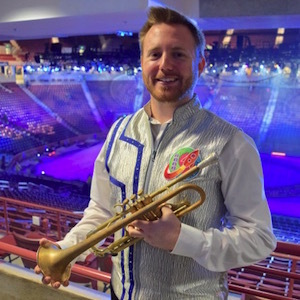 After finishing college in 2012, he went on to play lead trumpet for Royal Caribbean cruises touring the southeast Caribbean and the Mediterranean. In 2014 Josh began a Master of Music in Jazz Performance at the University of Illinois Urbana-Champaign on a full scholarship. After finishing his master’s May 2016, he began touring with the Ringling Brothers and Barnum & Bailey circus in August. He toured from coast to coast performing in the nation’s top venues for tens of thousands of people a day up until the final show on May 21st, 2017. Since the circus has ended he has decided to pursue a doctorate of musical arts degree in jazz at UT Austin and plans to enter the program Fall 2018. In addition to his extensive performance background, Josh has successfully taught students of all ages for over a decade. He is an open-minded teacher who believes in adjusting his teaching style to the student’s needs. John Henderson is a collaborative pianist, composer, teacher, and music director. He has taught piano, organ, choir, and musical theater to students at many levels; from those in elementary school to those pursuing graduate degrees. Institutions where he has taught include The Catholic University of America, Montgomery County Community College, Saint Bernadette Catholic Church, Adventure Theater Musical Theater Center, and Everyman Theater. As a performer, John has worked extensively with soloists and ensembles in a variety of venues and styles, recently joining mezzo-soprano Claire Galloway Weber to compete in the Nadia and Lili Boulanger Voice and Piano competition in Paris. His compositions, ranging from sacred to musical theater, have been performed across the country and abroad for occasions including Pope Francis’s visit to the United States, the Kennedy Center’s Page to Stage Festival, the Washington International Piano Series, and the International Double Reed Society Convention. John received his BM and MM in composition from The Catholic University of America and the Peabody Conservatory respectively. A recent transplant from Washington, D.C., John is thrilled to make Austin his new home! Matthew was first introduced to music at the age of six, when he began playing piano. However, once he began clarinet at age ten, he could not put it down. After playing both clarinet and piano for a year, Matthew decided to focus on clarinet alone, and he has been refining himself as a clarinetist ever since. 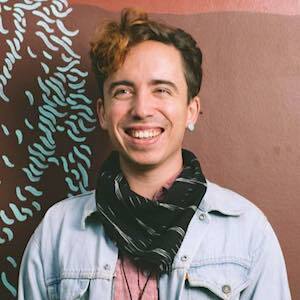 A recent graduate from the University of New Mexico with a Master in Music, Matthew is eager to continue sharing his love of music through teaching. 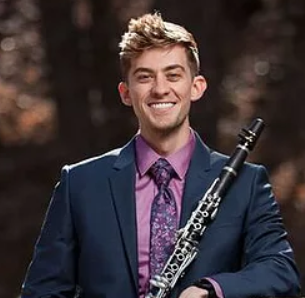 Over the past 14 years, Matthew has played countless concerts on clarinet, and has grown into a well-rounded musician from his experiences performing in chamber ensembles, wind ensembles, symphonies, and orchestras. While his focus is on the clarinet, Matthew also offers saxophone lessons, drawing from his years of experience coaching various wind ensembles. Originally from Toledo, Ohio, ​Daniel Kavka is a keyboardist/singer with 15 years of experience playing in solo and bands playing. Danny earned his Master’s Degree in music from Bowling Green State University, and specializes in Pop and Rock music, but has also played and taught blues, modal jazz, country, folk, soul, R&B, jam, metal, and electronic styles. Danny uses a mix of structured method books to develop reading and technique, while also helping students learn how to play their favorite songs by ear. 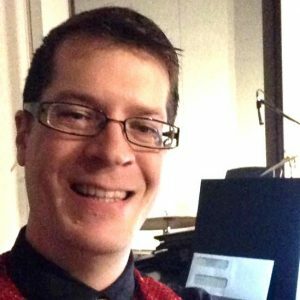 He encourages students to develop a base level of musicianship that will allow them to learn new pieces on their own and also emphasizes ear training, good practice habits, music theory, free improvisation, and style specific patterns to help students engage with their music on multiple levels. For younger students, Danny also incorporates games, composing new pieces, and singing to develop musical connections. Danny has previously played in multiple bands including Cincinnati’s The Madisons, Cleveland’s Liquid Sunset, and was most recently lead keyboardist in Toledo’s Game and Anime Music Ensemble (G.A.M.E.) Orchestra. He currently resides in Austin, Texas where he is active in the musical community. Founder of the McLaughlin School of Music, Matt McLaughlin is also active as a founding member and President of the Austin Piano Festival, past Vice-President and Student Events Chair of the Austin District Music Teachers Association, and editor of the popular PianoBlog.com. As a teacher, Matt is know for his extensive experience and expertise with students across the entire spectrum of levels and ages. His students have garnered top prizes in numerous competitions, have successfully auditioned at major conservatory programs, have appeared in multiple KMFA 89.5 radio broadcasts and interviews, and have performed as soloists with ensembles such as the Austin Symphony Orchestra and the Austin Civic Orchestra. Making his Concerto debut at the age of 15, Matt has over two decades of solo and collaborative performing experience. 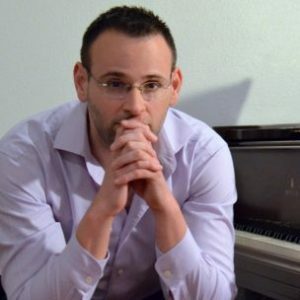 He holds a Bachelors degree in piano performance from James Madison University where he studied under Eric Ruple, and moved to Austin to study under the legendary pianist Anton Nel. As a member of Nel’s studio completed a Master Degree in Music Theory at the University of Texas at Austin. Matt is also an alumnus of the Aspen School and Music Festival. Besides music, Matt maintains many interests including fitness, philosophy, and business. You can also view Matt’s private studio website at www.MattMcLaughlin.net, or read a more full bio here. Michael’s desire to explore music led him to become an accomplished multi-instrumentalist. He strives to meet each individual student where he or she is in their own unique process and work with them to achieve their goals. Michael’s attention to detail and fundamentals provides a strong musical foundation. He has high expectations for his students and does his best to challenge and encourage them to meet their fullest potential while keeping the lesson fun and worthwhile. With over 10 years of experience, Michael offers many different styles of playing such as rock, blues, funk, metal, classical, pop, and country. Outside of teaching, he enjoys writing, reading, and performance original music with his band RadioNot. Born in Moscow, Russia, Milla was raised to love and play music. An accomplished musician, she earned her first Master’s degree in Instrumental Music Performance from the Tyumen State Academy of Culture, Arts, and Social Technologies. After moving to Texas she obtained her second Master’s in Education at Houston Baptist University, and has been actively teaching ever since. 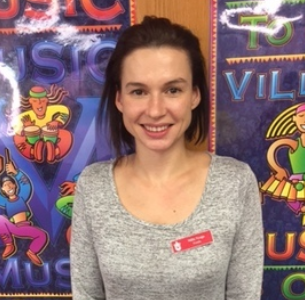 Milla believes music should be taught to everyone without exception, and says that her students are “allowed to be creative without being wrong”. She approaches music with a sense of fun and encouragement for all ages. Kylee O’Donnell is a flute teacher and performer newly relocated to Austin, where she teachers private flute lessons full-time. She enjoys a varied freelance career from playing with local orchestras to performing educational recitals for residents in local nursing homes. 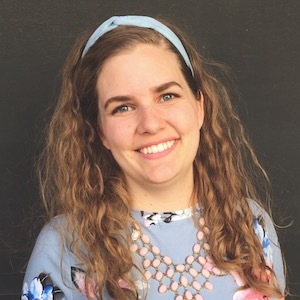 Prior to moving to Austin, Kylee received her Master’s Degree in Flute Performance from Jacobs School of Music in Indiana, where she studied with Thomas Robertello. 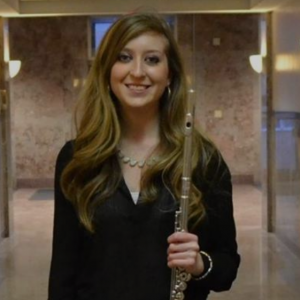 A Pittsburgh native, she received her Bachelor’s Degree–also in Flute Performance–from Duguesne University’s Mary Pappert School of Music, where she studied with Rhian Kenny and Damian Bursill-Hall. Most recently, Kylee won first place in the James Pellerite Orchestral Excerpt Competition at Indiana University. 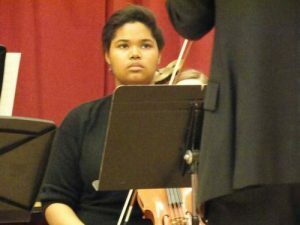 She has also won competitions through Butler County Symphony Orchestra, Women’s Advisory Board, Tuesday Musical Club of Pittsburgh, and the Duquesne University Concerto Competition. Hannah was first introduced to playing piano at the age of six when she began lessons. She began teaching while still in high school, taking on students at varying ages and levels. 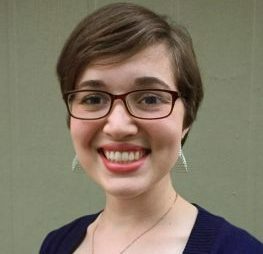 During her time in college, Hannah also focused on vocal music and besides working as a music instructor, Hannah has taught other subjects including high school history. Her experience extends to many different ages as well as working in group settings, and she is also skilled with young beginners as early as 3 years old. Baritone Brian Pettey is a singer whose “fascinating” and “charming” voice (Austin Chronicle, Baltimore Sun) has garnered glowing reviews from critics across the country. Along with performances at the Peabody Conservatory, where he received his bachelor’s degree in voice, he has sung roles with Baltimore’s Opera Vivente and Young Victorian Theater Company. In Austin, where he received his master’s in voice at the University of Texas, he has appeared with the Austin Lyric Opera, Butler Opera Center, the UT New Music Ensemble, and the Bach Cantata Project. Presenting concerts which promote and celebrate the repertoire, he is a passionate advocate of chamber music and song―especially that of American poets and composers. A champion of contemporary music in particular, he has performed dozens of works by living composers, even incorporating dance, film, and radio. Emil Pohlig has always had a passion for music. He started taking piano lessons in middle school, even though he was already taking percussion in band class. In high school he decided to teach himself the flute when his older sister decided to stop playing. And then the oboe. And then the trumpet. And then the violin. He loved it all. But when it came time for college, he didn’t think music could be a career and tried to do computer science. His heart was not in it. So he joined Brigham Young University philharmonic orchestra percussion section and they performed concerts, and operas, and went on tour and it was amazing. It made him sad that he wasn’t doing that kind of stuff all the time. In the end, Emil got a degree in music education from the University of Utah and moved to Austin, TX. He has taught piano and flute for over 6 years now. He also performs locally with choirs and bands in Leander ISD, Round Rock ISD, and Austin ISD as well as playing for weddings and holiday parties. 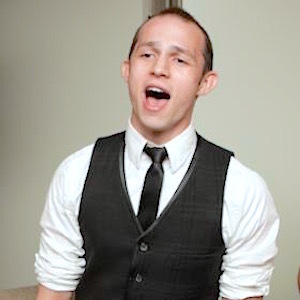 Emil loves to make learning fun and exciting, whether you want to learn classical, jazz, or pop. Kimberly began piano lessons when she was seven years old and never looked back. She has always had a passion for teaching; even in high school she was appointed to lead a Young Musicians theory class for elementary choir for several years. An avid musician and dog-lover, Kimberly earned her Bachelors in Music Education, and then completed a Masters in Music and Human Learning from the University of Texas after moving to Austin. In addition to teaching private piano lessons, she has also taught L-5 music in the public school system in both Florida and Texas. While she earned her Masters degree, she served as a Teaching Assistant for group piano classes at the University of Texas. 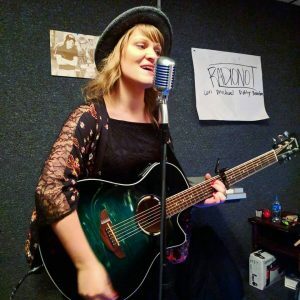 While she is classically trained, Kimberly also has experience in improvisation, accompanying, and performing popular music with several bands. She offers both piano and music theory lessons, and always works to help her students reach their full potential in whatever they pursue. Jackson Van Norman is a jazz, classical, and pop pianist born and raised in Austin, TX. He began at age 5 with the Suzuki method and then progressed to jazz performance in adolescence. As a performer, his specialization is in jazz performance and rock/pop. He received his Bachelor of Arts in Philosophy from the University of Texas. Over the past decade, he has performed in numerous ensembles, including the Austin College Regional Jazz Ensemble, Modal, Metal & Wood, Sherry, Groove Think, Dreamboat, Smiile, and Batty Jr. In addition to live performance, he has assisted in numerous Austin recording projects as a session musician. Currently, you can catch him accompanying the fiddle prodigy Ruby Jane Smith, leading the band King Warbler, and playing solo jazz and singer-songwriter shows. Jackson has been teaching kids and adults of all ages and levels for six years. His teaching style is a mix of from-the-book traditional curriculum and more loose-leaf education. Students have also been known to bring in original compositions for songwriting workshops. Jackson also enjoys writing, woodworking, cooking, and making tea. 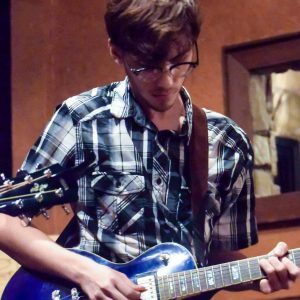 Trevor Villwock is a composer and pianist currently based in Austin, TX. Previous teaching experience includes as teacher at The Lesson Studio in Boulder, CO as well as privately in Austin. His music pulls from a variety of influences, primarily jazz, 20th and 21st century classical, punk, and psychedelic music, and he finds a deep joy in the act of musical exploration as a listener, a performer, a teacher, and a composer. Trevor began his music study at the piano at age 6, and holds a Bachelor of Music degree in Composition from the University of Colorado at Boulder, where he also studied piano under Alejandro Cremaschi. 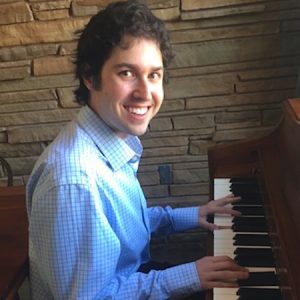 During his time there, he received the 2016-2017 CU Undergraduate “Spark” Award for electronic music and the 2013-2014 CU Undergraduate Composition Award, was twice named a CU New Opera Workshop Composer Fellow, and received performances from the Boulder Chorale and the Colorado Honor Band Association. Prior to his undergraduate studies, his music was also performed by the Austin Symphony Orchestra and the McCallum Fine Arts Academy Orchestra. As a performer, Trevor has appeared extensively with the Boulder Laptop Orchestra (BLOrk) as well as with the iPad Quintet Boulder Image and Sound Network (BISoN). His principal composition teachers have included Michael Theodore, Yevgeniy Sharlat, Daniel Kellogg, Carter Pann, Adam Gorb, and Laura Bowler. 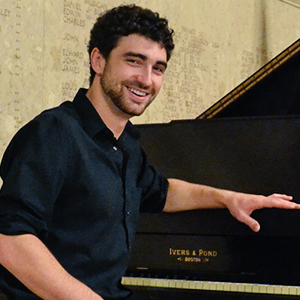 A native of West Texas, Eric Young began his piano studies at the age of five. 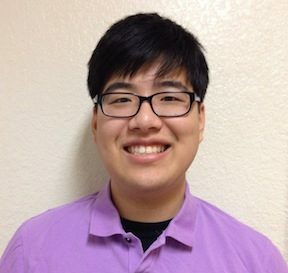 Initially a science major, Eric quickly switched to music because of his deep love for the piano. An accomplished musician and performer, he holds a degree from the University of Texas in Piano Performance, where he studied under the legendary pianist and teacher Gregory Allen. 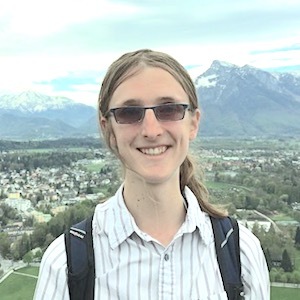 Beside his studies with Professor Allen, Eric studied piano pedagogy with Professor Sophia Gilmson, who is one of the most respected experts in the field and lauded and encouraged his remarkable teaching abilities. Eric’s teaching teach style is warm, patient, and encouraging while maintaining a structured and logical approach. He consistently receives raving reviews from his students, and is highly adaptive to each student’s personal needs and goals.